About 46 million retired people and their dependents receive Social Security, and the average benefit is around $1,300. If you’re reading this, odds are good you either know someone who gets this benefit or are someone who does. What you may not know is that this benefit may be subject to change this year. Most experts agree that the Social Security program is in long-term trouble. By 2033, the program will only be able to fund about 75% of its current obligations. By 2083, that level drops to 72%. With these breakdowns in funding looming, changes had to happen. Imagine a current retiree on a fixed income being asked to give up 23% of her monthly check. That would mean poverty and destitution for millions of elderly people. Significant overhauls of the program are coming but involve a lot of complicated political maneuvering. In legislative circles, Social Security is known as the “third rail.” In subway language, the third rail is the one in the middle that carries all the electricity. If you touch it, you die. In the mean time, a variety of smaller reforms have been implemented, designed to ensure the short-term survival of the program. 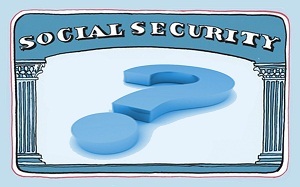 In 2015, there are three significant changes to Social Security benefits. Note that most of these changes only apply to future beneficiaries and current recipients will continue to receive a benefit similar to the one they’re currently receiving. If your age ends in “5” or “0” in 2015, expect a letter from the Social Security Administration this year. The statement will explain how much you’ve paid in and what kind of benefit you can expect to receive. The benefit will be estimated based upon several retirement age options, starting with age 65. The administration suspended mailed statements last year, but restored them for 2015 to allay fears about the short-term survivability of the program. Obviously, the numbers listed in the statement are estimates, but they should provide a helpful guide for those approaching retirement. They expect to send out 48 million statements in 2015. If you’re already receiving Social Security, you’ll receive an annual statement unless you’ve already opted to receive online-only statements. That recipient statement will include the cost of living adjustment for the year, the monthly benefit and any survivor benefit your spouse will receive. One of the biggest problems facing Social Security as a program is a shortage of revenue. The way income is taxed for the program is riddled with exceptions and exemptions. The Social Security Administration can’t encourage people to die sooner, but it can collect more revenue to make up for longer life spans. Previously, employees were taxed on the first $117,000 of income. This year, that amount will be $118,500. To make up for the slightly increased ceiling, the maximum benefit will also increase. For people who wait until age 66 to take Social Security, there will be no maximum to their benefits. Also new this year, people who wait until 66 will receive an additional return on benefits they deferred during their 65th year. The biggest change facing Social Security is the attempt to correct “double pensioners.” People who work government jobs (as well as some kinds of non-government jobs whose salaries are carefully regulated) are enrolled in separate retirement programs outside Social Security. These individuals did not have FICA (the tax that pays for Social Security) deducted from their paycheck. They instead paid into a different retirement system. Previously, such employees received the same spousal benefits as those who paid into Social Security. They also received additional Social Security benefits if they held a FICA-paying position at another time in their lives. This windfall elimination is the subject of a 1985 regulation that takes effect this year. Those who didn’t pay in will have their direct benefits reduced by a proportion of their government pension. They will also have any spousal or widower benefits they would have received reduced by a similar amount. These so-called “double-dipping” eliminations will save Social Security $3.4 billion, helping to ensure the program’s longevity. If you’re concerned about the availability of Social Security for your retirement, it’s never too late to take control of it yourself. Many savings vehicles are available, from savings accounts and certificates to IRAs. To find out what options work best for you, call, click, or stop by CORE Credit Union today. Our representatives can walk you through all the options and help you get to the retirement of your dreams.